Sending Environ Peel prices individually. For anybody, even non-Environ clients. Treats Acne and Age controlling. Reduce Acne and problem skin. Firming, softens wrinkles, smoothes rough skin. Hot stone massage therapy melts away tension, eases muscle stiffness and increases circulation and metabolism. Each 1hour hot stone massage therapy session promotes deeper muscle relaxation through the placement of smooth, water-heated stones at key points on the body. Our professional massage therapist also incorporate a customized massage, with the use of hot stones which offers enhanced benefits. The benefits of a foot reflexology session are manifold – calmness and serenity, improved circulation, increased energy and balanced emotions among many others. It is appropriate for all ages as well as for a variety of ailments. Not only soothing to sore feet, it can benefit most other body aches and pains. Paraffin wax treatments are beneficial to dry, cracked hands and feet. Paraffin is an excellent moisturizer because it forms a light waterproof coating over your skin that helps it retain the oils produced by your body. This “waterproofing” makes paraffin treatments great for soothing and healing dry, cracked skin — particularly winter-worn hands and feet — because it offers protection from external elements. Best described as a Foot Facial, your feet will be spoiled through cleansing, exfoliating, steaming, applying mask, hard skin being removed, nails being painted and finishing off with a relaxing massage. Just because their at the bottom doesn’t mean they are not important! CND Shellac is the original, one and only Power Polish. It’s not a gel polish – which are basically just “watered” down gels. It’s a true innovation in chip-free, extended-wear nail color! It goes on beautifully, wears beautifully, dries immediately and removes with no damage. Shellac is designed as a system. The service begins with Shellac Base Coat – one thin layer is all you need. It cures in 10 seconds and provides the foundation for the Shellac system. Next is your choice of Shellac Color Coat, followed by the Shellac Top Coat which provides the durable final coat and seals the deal with a mirror-like finish.The CND UV Lamp is used to cure the layers immediately and create the scratch-resistant, high-shine finish that Shellac is known for. Why choose Shellac? The application service time for Shellac nails is only 30 minutes, and Shellac goes on with the ease of a traditional bottle of nail polish. The dry time is zero – yes, that’s right, zero! There’s also no odor, and no damage to nails. Shellac is 3-free (contains no formaldehyde, DBP (dibutyl phthalate) and toluene). Shellac polish lasts for 14+ days, with durable shine that resists chips, scratches, and smudges. Finally, enjoy the easy-off that only Shellac delivers. Removal time is brief, and the method doesn’t damage the nails or surrounding skin. Top quality skincare products from Germany, using the healing thermal waters from the hot springs at Baden-Baden. What skin issues do we treat with Environ Peels? My clients know that I totally approve of Environ Skin care , and that I proudly use it in our salon. I do the Environ Cool Peel system which is parallel to none in this industry-for safety and effectiveness. These peels increase the quantity of collagen in the dermis. Why are Environ Peels different? Environ is different from other companies producing peels, because Environ pioneered the production of acidic creams and gels, instead of using acid solutions. By controlling the the time, or the layers of the peel, one has an extremely versatile peeling system that is “fine tuned”. 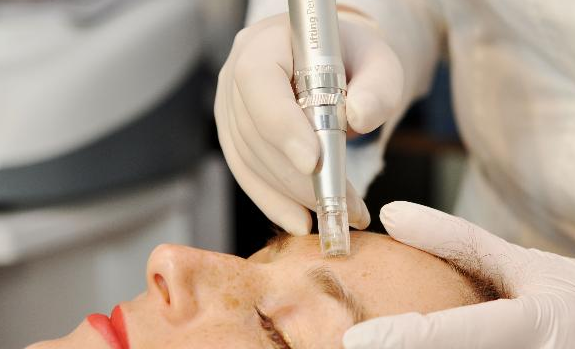 Advantages of the Environ Peeling System. It is a safe and effective technique used to exfoliate the outer surface of the skin. The wand is coated with diamond chips that polish the skin, yet take away dead cells. The end result is to leave your skin looking smoother, healthier. The new diamond tip microderm is the latest form of exfoliating skin without irritating it. 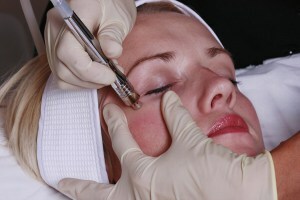 Microdermabrasion is not a chemical, and is a non-surgical way to regain healthier, glowing skin.